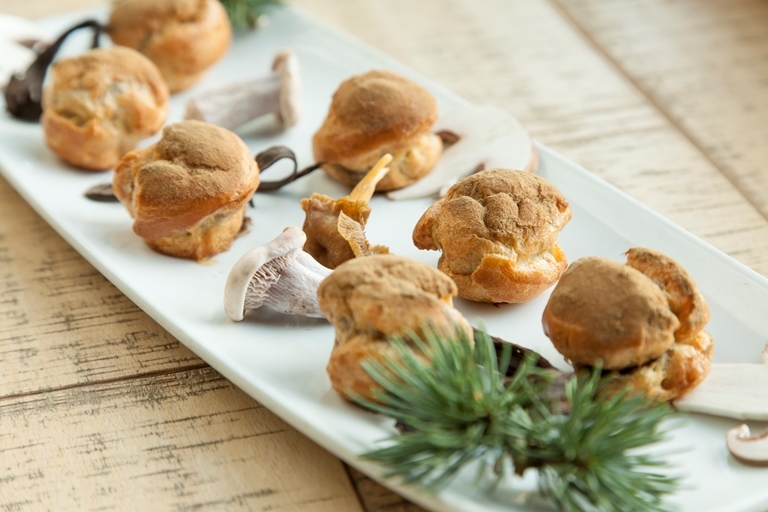 Bruno Loubet's mushroom choux bun recipe offers a seasonal burst of flavour, with a rich cheesy mushroom filling delicately encased by warm choux pastry and dusted with cep powder for a powerful umami flavour. Bruno serves these canapés warm, so either pipe the warm mixture into the choux buns or warm them through in the oven after assembling. To make these canapés fully vegetarian, swap out the Parmesan for a veggie alternative.